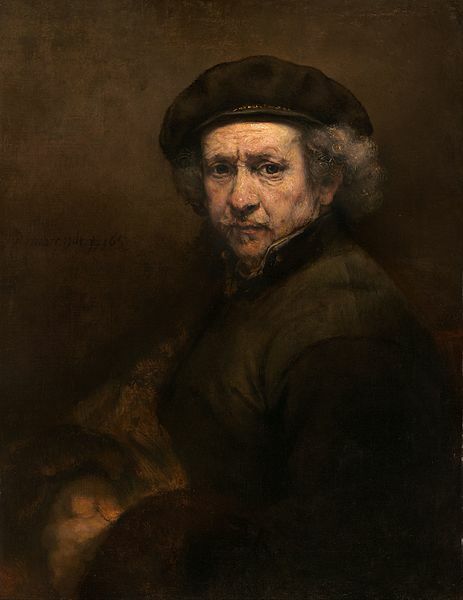 Rembrandt satisfied the eyes of common audience within a very few days at the age of 25. He became renounced as a competent nature-painter. His business was established within a very short time. He started getting orders of painting from government and private organizations. He became famous not only as painter but also as a teacher. Rembrandt also had wonderful skill at teaching. Rembrandt once was attracted to the ‘Mugahal’ paintings and copied a number of paintings of that method. But those works were not as standards as the Mughal paintings. Nevertheless Softly company in London bought the portrait of ‘Shajahan’ painted by ‘Rembrandt’ for Tk 1,75,000 only due to his glorious achievement. But the real ‘Mughal’ paintings of India have never been sold for one percent of that amount of money. Rembrandt was bold and self conscious in painting. Dramatic use of light with the subject gave his painting a specially. He was the artist of the time. We came to know the wonderful skill of art in rhythmic presentation of deep tone and correlated composition. Rembrandt drew thousands of pictures in etching, drawing and painting tighter during his professional life of 38 years. Some of his mentionable celebration arts are The Blindness of two bit, The raising of ‘Lazarus Christ at Emmans (Painting on religious subjects and presented in (Lauvre Museum), Samson’s, wedding feast (on social festivals) and an old man in through (portrait composition) and “Flora”. This great artist died in 1956.